CUBA STANDARD — It’s more than a year late, it’s small, it’s not the first U.S. venture at the Mariel Special Development Zone, and commercialization of its products is — at best — years and hundreds of millions of dollars worth of clinical testing away. 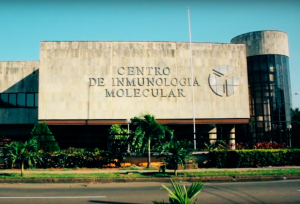 Still, promoters of U.S.-Cuba normalization say the biotech joint venture just set up between a U.S. research institution and the commercial arm of Cuba’s Centro de Inmunología Molecular (CIM) is a political milestone amid tightening U.S. sanctions. 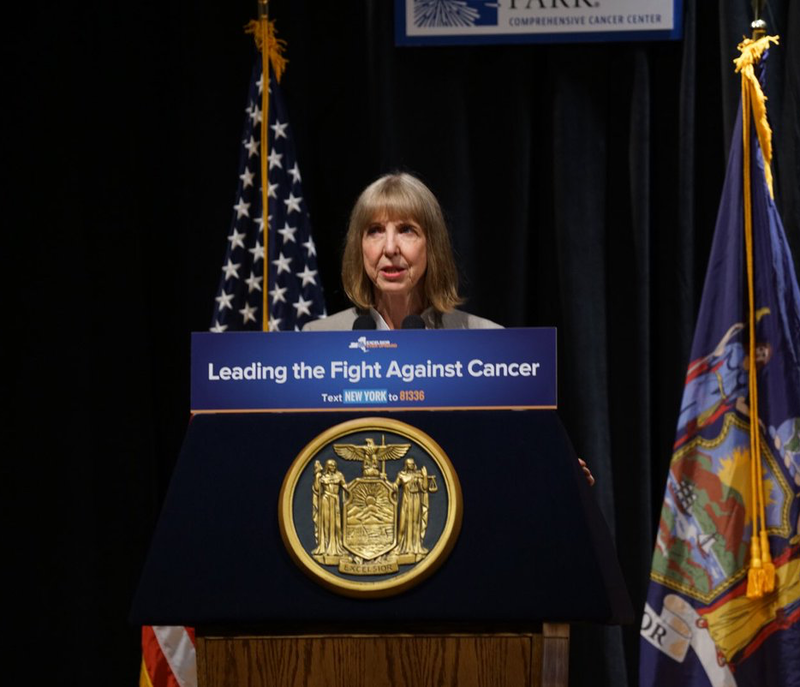 Roswell Park Comprehensive Cancer Center, the Buffalo, N.Y.-based partner in the Innovative Immunotherapy Alliance S.A. joint venture, announced it completed Phase 1 clinical trials of a Cuban-developed cancer drug and said the joint venture will go up at the Mariel Special Development Zone. In a press release, Roswell Park said that “initial results from the first North American clinical trial of CIMAvax-EGF show that this Cuban-developed immunotherapy is safe, well tolerated and worthy of further study”. Roswell Park Principal Investigator Grace Dy shared the findings of Phase 1 trials at a meeting of the International Association for the Study of Lung Cancer in Toronto. Phase 2 trials are planned to begin late this year. 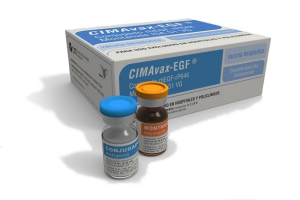 The joint venture company will conduct the next clinical trials of CIMAvax, as well as research studies of other drugs. It will also seek U.S. FDA approval if advanced-phase clinical testing has a successful outcome, seek patent protection, seek sub-licensing for its intellectual property rights, and, if commercialization begins, facilitate the import and distribution of products to the United States. 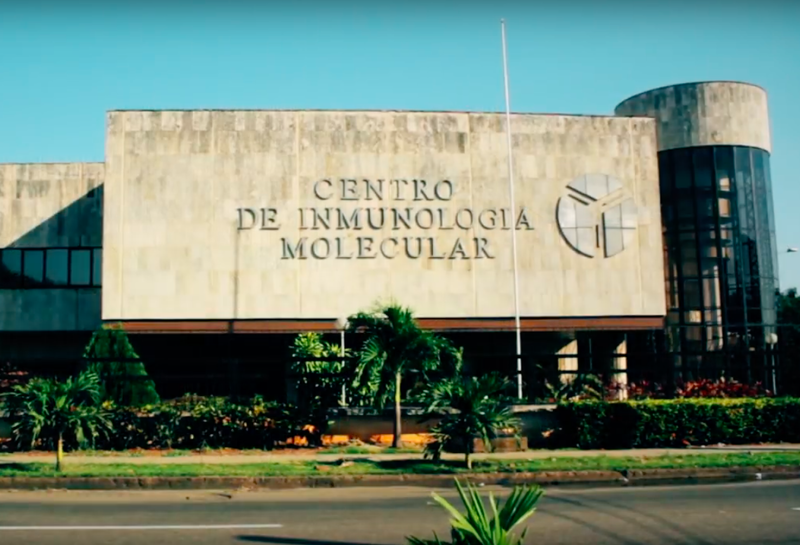 In addition to CIMAvax, Roswell’s joint venture with the commercial arm of the Havana-based Centro de Inmunología Molecular (CIM) has three more Cuban-developed cancer drugs in the pipeline — IL-2 mutein, VSSP and another investigational immunotherapy that targets tumor-associated gangliosides. All four immunotherapies are designed to enhance the body’s cancer-fighting self-defense system, alone or in combination with other immunotherapies. Roswell Park expects additional Phase 1 trials for these drugs, enrolling more than 100 patients in the United States within the next three years, with plans for additional clinical studies to follow. David Allan, a Canadian venture capitalist who brought CIMAvax to clinical testing Canada and the United States in the 1990s and early 2000s, points at the odds the partners are facing. Allan calculates that the joint venture will have to raise some $25,000 per patient in clinical testing. Roswell Park Chief of Business Development Thomas Schwaab, who is also in charge of the commercial arm of the institution, Global Biotechnology and Cancer Therapeutics (GBCT) — set up a separate entity, GBCT II LLC, in the effort to entice investors to provide hundreds of millions of dollars needed to advance expensive Phase 3 clinical testing of CIMAvax. So far, some $4 million in donations have funded Phase 1 trials. Schwaab did not immediately respond to inquiries. 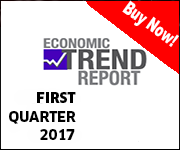 During a forum in New York City in February 2017, he announced that the commercial arm of the nonprofit was seeking investors, adding that he hoped the joint venture would be set up by April 2017. Schwaab said at the event that he was reaching out to U.S. and multinational pharmaceutical companies as a first line of prospective investors. The obstacles were not only on the U.S. side. “On the Cuban government side, everyone has signaled to us they really want this to happen,” he added. 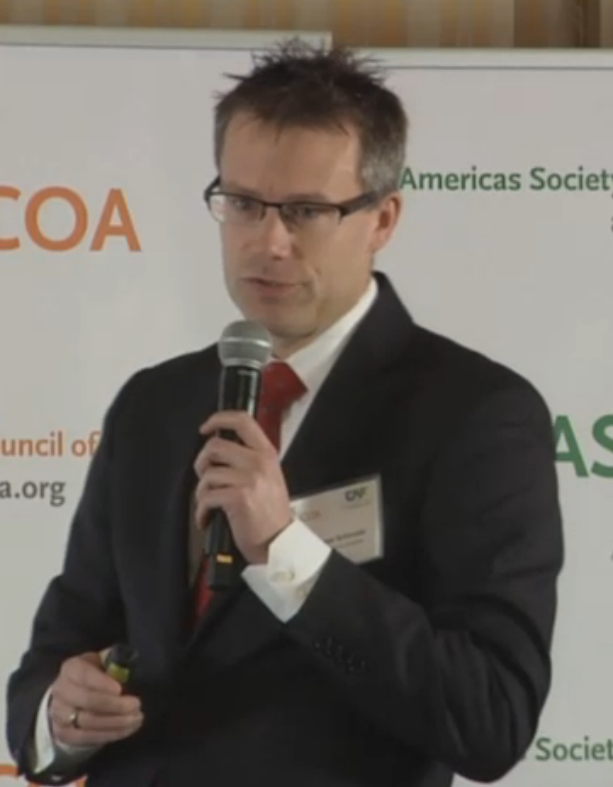 Innovative Immunotherapy Alliance S.A. is not the first biotech undertaking at Mariel. A joint venture of Cuba’s Centro de Ingeniería Genética y Biotecnología (CIGB) with Chinese partners is already building a more sizable facility in the special development zone west of Havana. To navigate the obstacle course of U.S. sanctions, Roswell Park hired lobbying giant Akin Gump Strauss Hauer & Held LLP, paying more than $200,000 in fees per year, according to public filings. 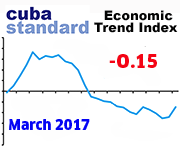 Akin Gump did not immediately respond to inquiries by Cuba Standard. Roswell Park in 2016 obtained a general license by the Office of Foreign Assets Control (OFAC) that allows it to perform clinical testing in the U.S. and import the Cuban drugs to do this, as well as a specific license that allows the creation of the joint venture, including employment of both Cuban and U.S. citizens at Mariel and operating a satellite office in Buffalo. 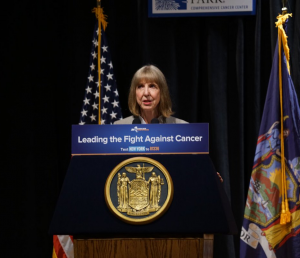 Roswell Park also said it received permission from the Bureau of Industry and Security (BIS), the U.S. Department of Commerce, and the U.S. FDA. The Trump administration last year prohibited U.S. entities to make direct payments to Cuban armed forces-controlled companies. The Mariel Special Development Zone is operated by Almacenes Universales, a subsidiary of armed forces holding GAESA. 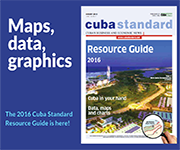 Roswell Park contracted the services of Spanish law firm Uría Menéndez to help navigating Cuban laws and regulations. This entry was posted on Wednesday, September 26th, 2018 at 3:35 pm	and is filed under Top Stories. You can follow any responses to this entry through the RSS 2.0 feed. Both comments and pings are currently closed.